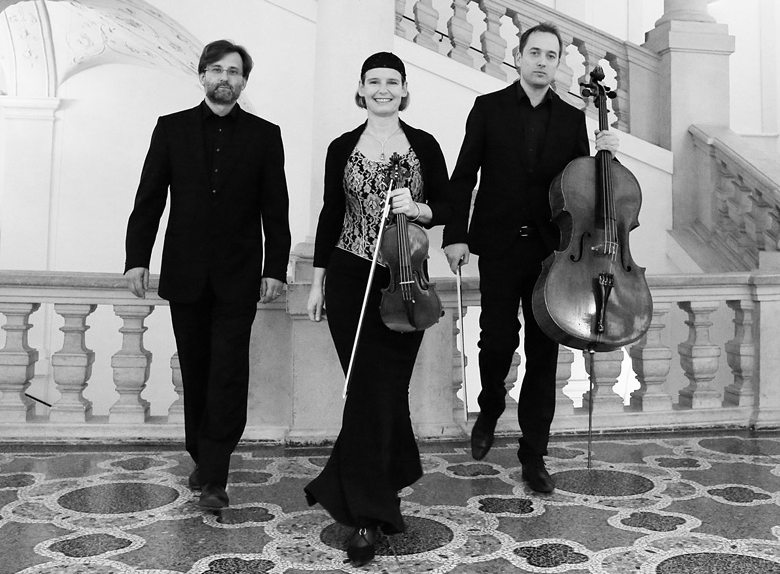 The Austrian Trio Van Beethoven makes its LCMS debut with two youthful works by their compatriots. Beethoven’s G major Piano Trio is the gentler middle child in the composer’s first opus of three piano trios, and remains as one of the most serene works that he ever wrote. Brahms’s B major Trio from 1889 is the revised version of a much earlier attempt dating back to 1854, and remains the only work that exists today in two published versions. Flanked by these is Peter Fribbins’ First Piano Trio, premiered in Vienna in 2004. As a German prelude to the evening’s trio concert of Beethoven and Brahms I will be playing the most famous suite of J.S Bach’s solo suites for cello. This will be followed by Finnish composer J. Sibelius who was also influenced by Beethoven. This is particularly evident in this little-known piece for solo cello as he takes a simple theme and brings it to the forefront in several symphonic ways. 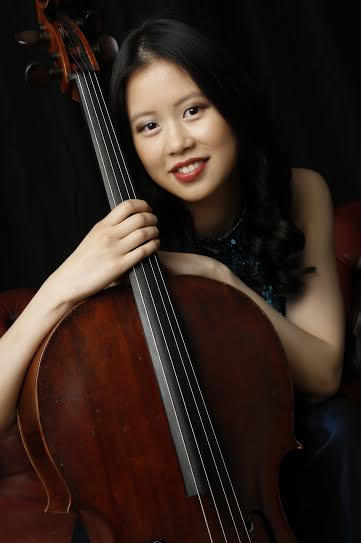 Jo Dee Yeoh was born in Australia and began playing the cello at the age of seven. She studied with Nelson Cooke and was a Young Academy Musician at the Australian National Academy of Music in Melbourne. She regularly attends courses and masterclasses in Italy and France and has performed for Valter Despalj, Julian Lloyd Webber, Hans Jorg Jensen and Johannes Goritzki. Since moving to London to study at the Royal College of Music she has given performances in St Stephen’s Church, St Mary Abbott’s Church, National Portrait Gallery, Britten Theatre, Amaryllis Fleming Concert Hall and Oxford University as well as numerous venues around Australia, France and Italy. She is an active chamber and orchestral musician and has played in the Australian Youth Orchestra, RCM Symphony Orchestra and has led the RCM Philharmonic the International World Baccalaureate Orchestra. Jo Dee is currently studying for a Bachelor of Music at the Royal College of Music under the tutelage of Professor Alexander Boyarsky. Enter your email address and subscribe to our mailing list to receive all of our latest updates. Click to download our latest Programme. Click to download our latest Magazine. London Chamber Music Society Ltd., company number 9626483. We are a registered charity no. 1164397. 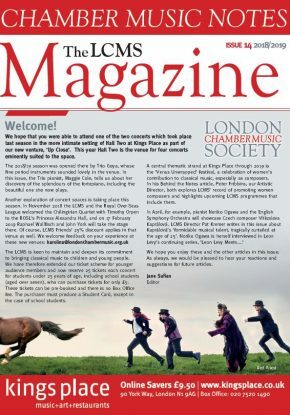 Copyright © The London Chamber Music Society 2019. Website designed by The Cycling Web Designer. Handmade with care in London, England.